The Grammy Awards were filled with big wins and devastating losses, but one nominated artist won something way more valuable than a golden gramophone. Despite her IRL loss, Pink’s kids gave her a Grammy Award — which they made themselves, of course — for best pop vocal album. And the craftsmanship is quite impressive. “Thanks Kids:) my favorite kind of award,” Pink shared on Instagram alongside photos of both Willow and Jameson holding the aluminum foil trophy. The singer, who was nominated for her album, Beautiful Trauma, ultimately lost to Ariana Grande, who won her first-ever Grammy for her 2018 album, Sweetener. The handcrafted award was just the icing on the cake of a great few weeks for Pink. Earlier this month, she received a star on the Hollywood Walk of Fame, where she gave her family the sweetest shoutout. Last Friday, Pink had the opportunity to honor country music icon Dolly Parton at the 2019 MusiCares Person of the Year ceremony in Los Angeles, where she performed “Jolene.” Also in attendance were stars like Willie Nelson, Miley Cyrus, Katy Perry, Chris Stapleton and, of course, Pink’s daughter, Willow, who helped her mama get ready backstage. 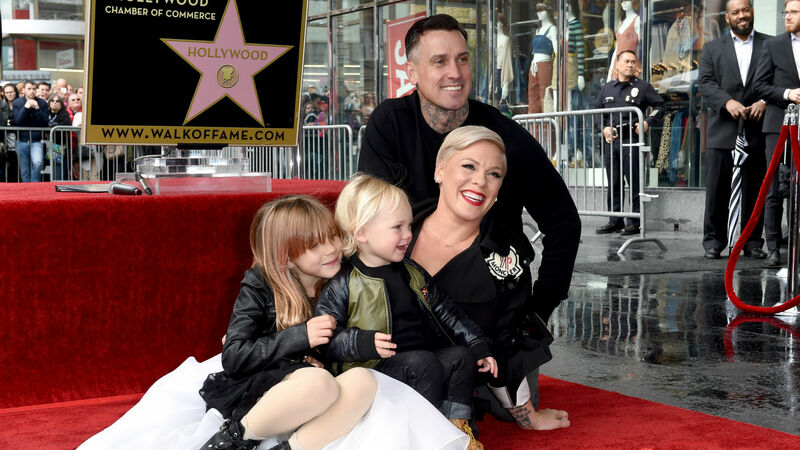 This recent streak of good news comes after Pink’s husband, Carey Hart, posted a few controversial photos that got him into hot water with fans — like teaching his daughter how to shoot a gun and allowing Jameson to sit on his dirt bike — on Instagram. Hopefully, this past week serves as a reminder to Pink that the most important approval doesn’t come from bystanders, but from her kids, who sure seem to love her very much.